Michael, our Canterbury Inspector, has been working in the building and related industries for over 25 years, the last 15 in Christchurch. He has been an LBP (carpentry) since 2012. With experience in assessing and repairing homes in Canterbury, over the last 6 years, Michael has the local knowledge needed to complete your house inspection. His interests include classic cars and motorcycling. Buying a home is often one of the biggest decisions you will make in your life; Michael of NZ House Surveys Canterbury can help you ensure your next purchase is everything you imagine it to be. 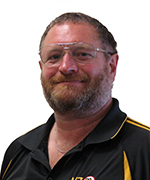 Call Michael today on (03) 344 CHCH or (03) 344 2424 to schedule your next building report. NZ House Surveys are proud to be offering their pre-purchase home inspection services and their professional building reports to home owners throughout the Canterbury area. Including Christchurch City, Selwyn, Hurunui, Waimakariri and surrounding areas. At NZ House Surveys we send two inspectors to every home, so you can be sure you are getting a thorough inspection. Your report is written in plain English and we offer a follow up service, so we can discuss your questions in detail. Call Michael on (03) 344 2424 for more information today.